I was lucky enough to get a long weekend off work this week, with Monday being a public holiday, because Sunday was the annual Mid Autumn Festival. It's celebrated throughout China and Vietnam, so I got to experience how they do it in Hong Kong. 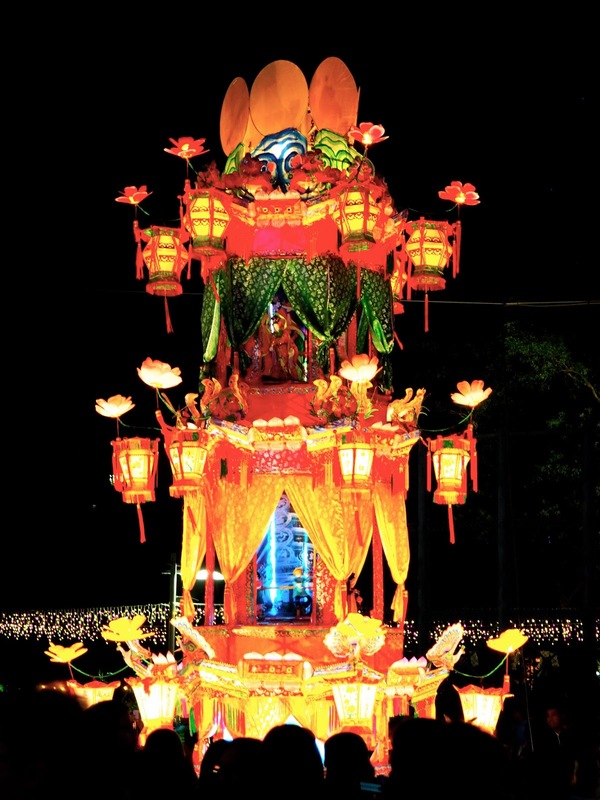 The main events of Mid Autumn Festival are held at night, since the moon is so important. We started by taking the Star Ferry across the harbour from TST - it's not a long or expensive ride, but it's one of those "must-dos" in Hong Kong, and it's especially nice doing it at night, with the city skyline lit up. We then headed to the Tai Hang area of Causeway Bay, where the Fire Dragon Dance takes place for three nights around the festival. The tradition began in the 19th century, when Tai Hang was still a village, and the people first performed the dragon dance for three days and nights, under the instructions of a soothsayer, in order to ward off a plague. The tradition has continued to this day, though Tai Hang is now part of the city. The dragon is made from straw and covered in 70, 000 incense sticks, reaching a total length of 67m. The streets were packed when we arrived, and there were lanterns to admire before the main event started. The dragon was spectacular to behold, weaving its way up and down the streets in numerous formations, bobbing and dancing and spinning and running around. I actually like that some of my photos are blurry, as I think it better captures the feel of the dance. The air was full of smoky incense, and the lights of the sticks were captivating - although there was no real fire, it definitely created the right atmosphere! The dragon's head was particularly impressive, given its sheer size! It lost a few incense sticks along the way, so we grabbed a couple for photos and souvenirs. And as we were leaving, we could hear bagpipe music, which of course got me very excited - it was like being back home all of a sudden! After the dance was over, we went next door to Victoria Park, where the Urban Mid-Autumn Lantern Carnival is held. I've been during the day before, but this felt like a different place, with twinkling lights everywhere you turned! 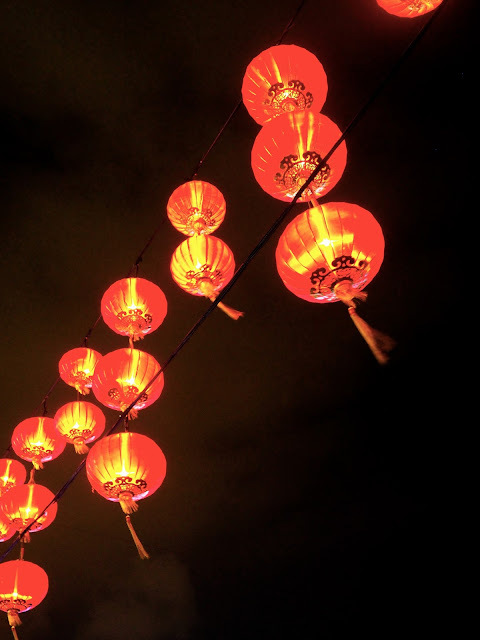 There were reams and reams of lights hung overheard, alongside the classic-looking red Chinese lanterns. All sorts of other lanterns were on display though, statuesque structures of people and dragons and more, situated all around the park, and a selection of designs by students. There were various booths and games, I think, but we didn't look around those much - mostly we just walked around, admiring the lanterns. There was a stage with a programme of events on too - though we couldn't see all of it, there were dancers, gymnasts, musicians and a magician. Perhaps not as spectacular as the dragon dance, but very pretty nonetheless. All in all, it was a pretty fun night, with plenty of wonderful things to see. I'm a sucker for all things bright and colourful, so lanterns and fire dragons are right up my street! If you're ever in Hong Kong for this festival, it's certainly worth seeing!